Part of Sony’s extensive lineup of machine vision cameras, the new XC-EU50 1/2″ Near UV Sensitive B/W Camera features near ultraviolet sensitivity down to the ~300nm range with peak around 369nm. Utilizing characteristics of shorter wavelength light, the XC-EU50 is effective in capturing surface details of various kinds of materials. With the use of ultraviolet illumination, small scratches, dust, or blemishes, which are difficult to view by the human eye or traditional cameras, are captured clearly by this camera. 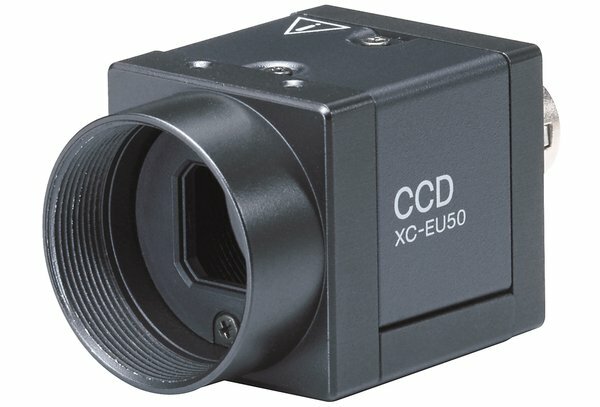 Like the XC-ST and XC-ES Series, the XC-EU50 camera incorporates the latest å_ type Interline Transfer (IT) CCD with HAD technology providing 768 (H) x 494 (V) effective picture elements. In addition, the XC-EU50 features the same compact and lightweight design as the XC-ES series making them easy to interchange.